As a child I became a bit obsessed by the mythical sounding football match that took place in the trenches of the first world war when it featured in the video for Paul McCartney’s Pipes of Peace. Now, in the centenary year we’ve had Sainsburys flogging groceries off the back of it. But somehow, whether it’s Macca or a supermarket appropriating the events of that awful Christmas, the message shines through untarnished. 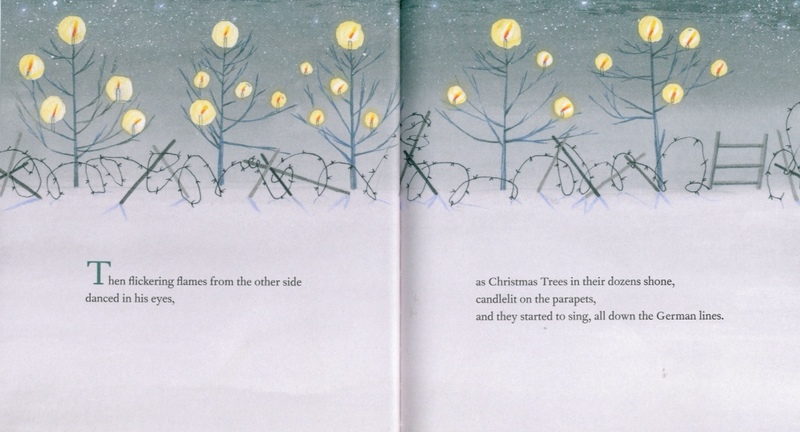 This reprinted edition of Carol Ann Duffy and David Robert’s 2011 retelling of The Christmas Truce suffers from no such dubious commercial associations. 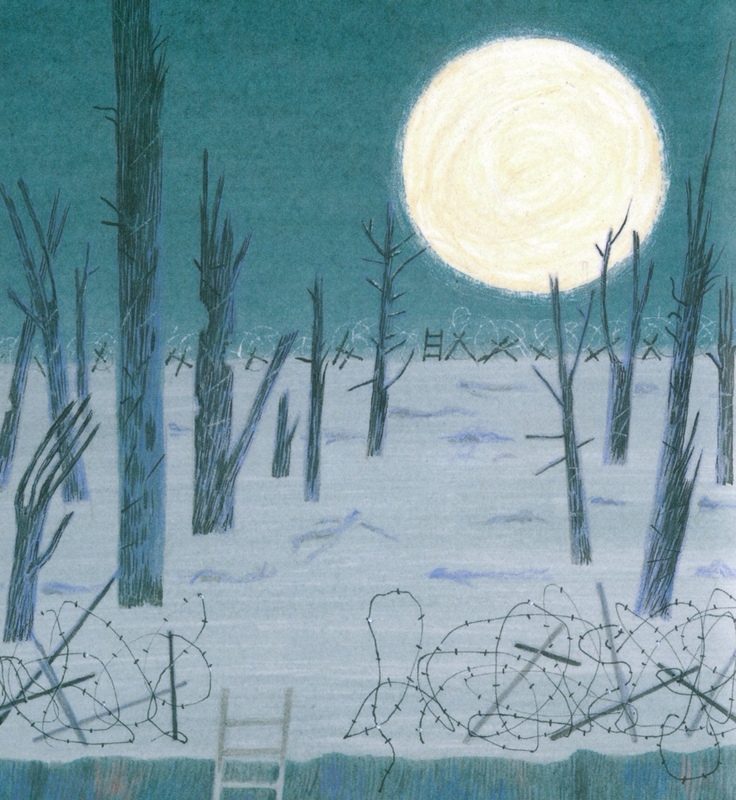 It tells the story through simple, evocative poetry that will bring the moment alive for young readers getting to grips with the first world war. 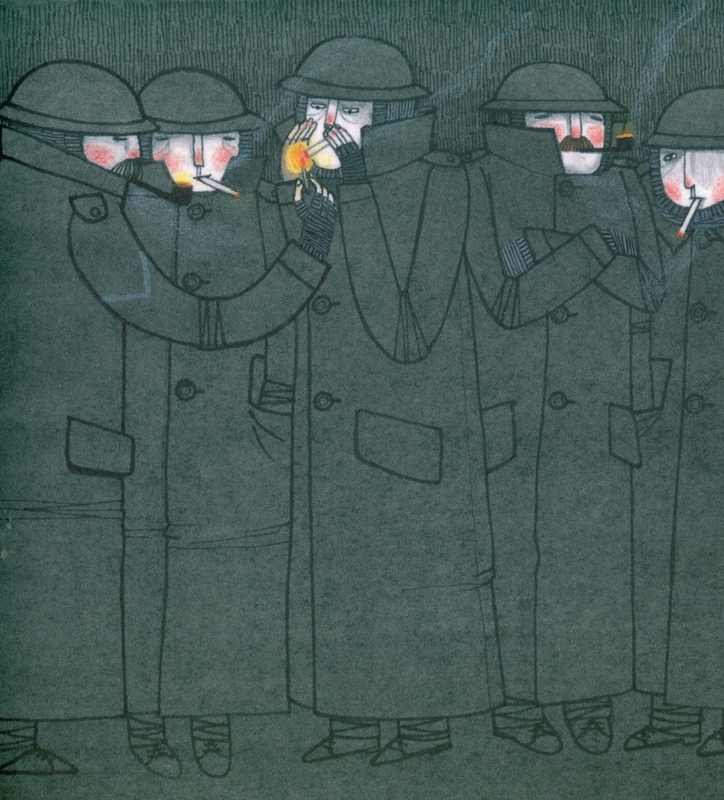 David Roberts illustrations are perfect, particularly his depictions of the rosy cheeked soldiers, all bristly, bloodshot and careworn, but still with the spark of human kindness that the conflict has yet to extinguish. As we approach the centenary of the epochal Christmas why not share this, perhaps the ultimate manifestation of the season’s spirit with your children. And spare a thought for the young men for whom this wondrous moment was tragically only fleeting. You can probably even buy it from Sainsbury’s. If you must. 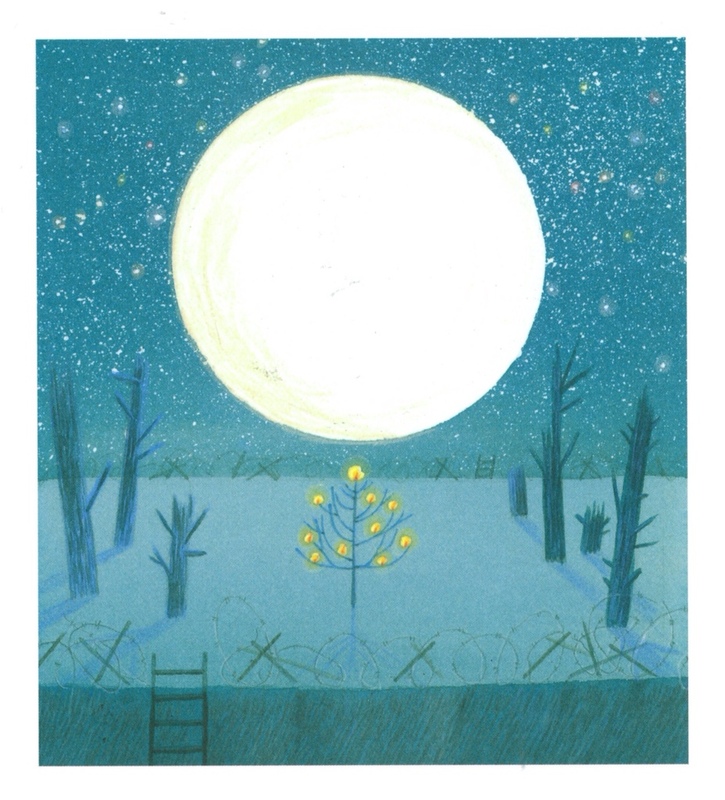 The Christmas Truce is published by Picador. 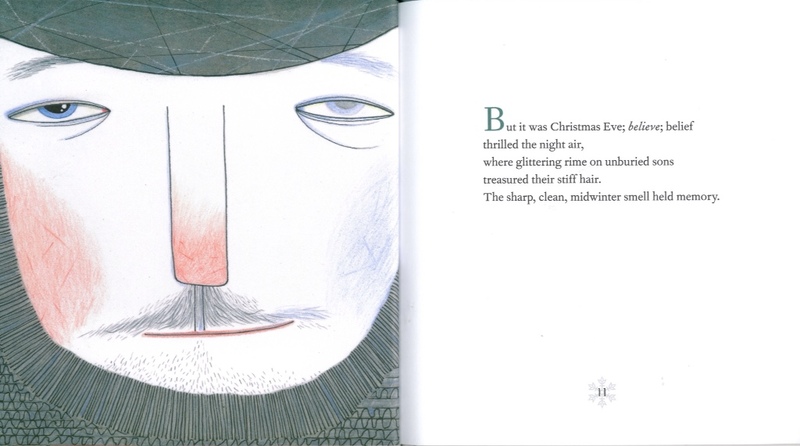 It also features in the Anthology Only Remembered edited by Michael Morpurgo and illustrated by Ian Beck. 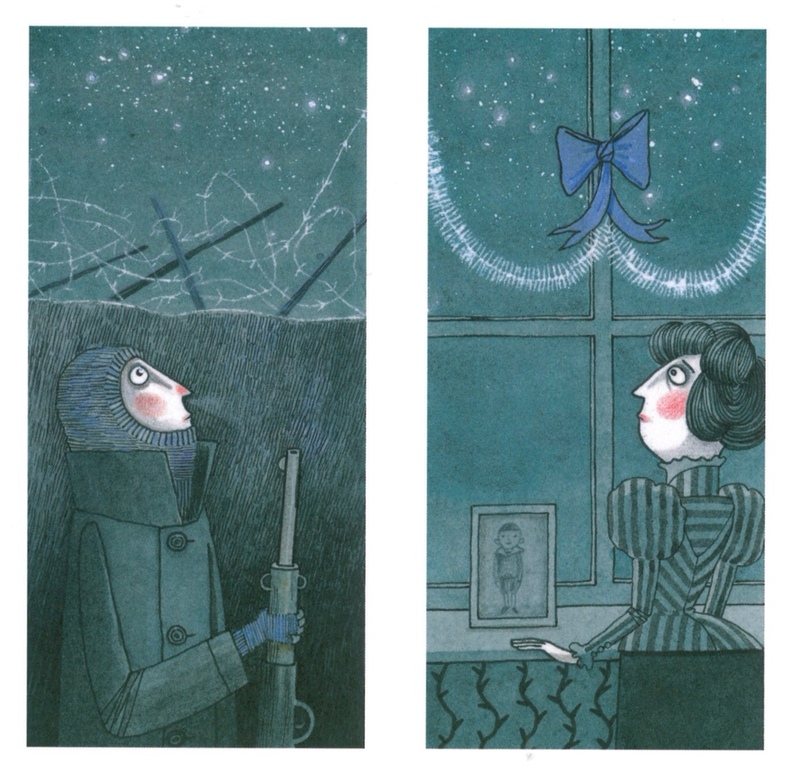 Or you can read the complete poem here. 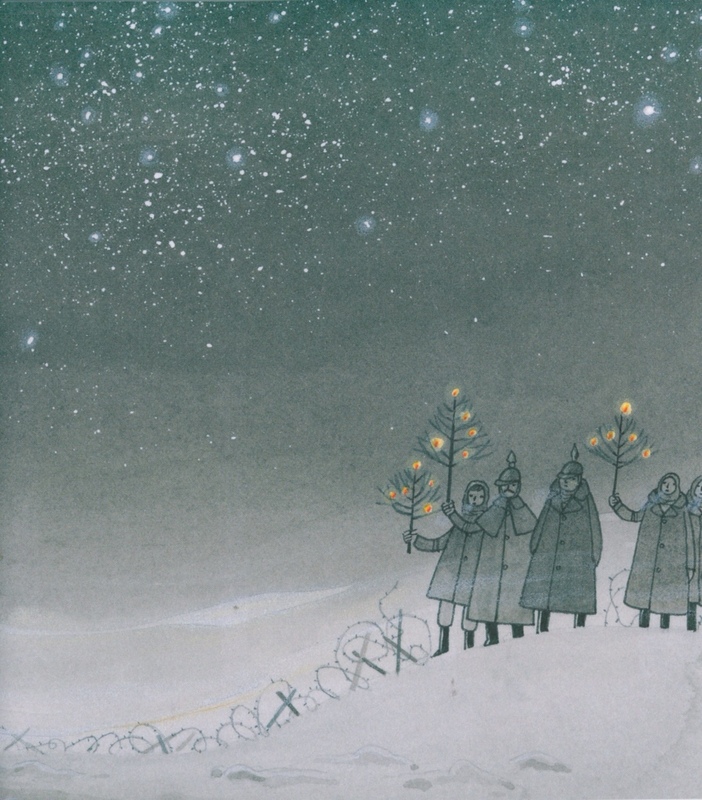 Tags: Carol Ann Duffy, David Roberts, First World War, The Christmas Truce. Bookmark the permalink.